The Eagles are part of a chain of “sky island” mountains that stretch from New Mexico through West Texas and into Old Mexico. 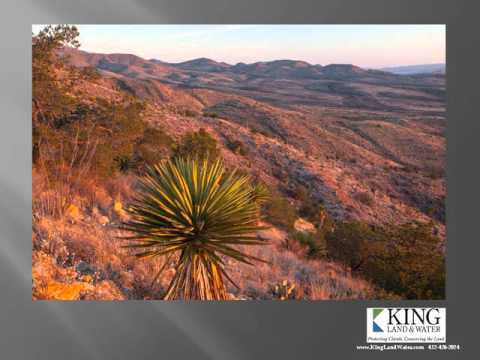 With the Quitman Mountains to the west, the Van Horn Mountains to the south, and the Sierra Viejas to the north, the Eagles are a mountain island in a desert sea, creating unique high elevation habitats and stunning landscapes and views. 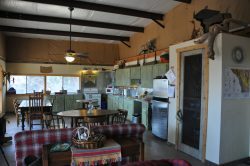 Eagle Piñon Ranch sits on the southeast shoulder of the Eagle Mountains and was a pasture at one time in a much larger ownership named Piñon Pasture after the extensive Mexican Piñons found on this ranch. 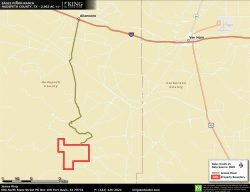 Just nine miles west of Van Horn is the Allamoore exit on I-10 where you head south on a well-maintained gravel county road for 4.5 miles, then over the Union Pacific Railroad and into a 40,000 acre ranch where a deeded easement on a paved and gravel road gets you to this ranch in 11 more miles. 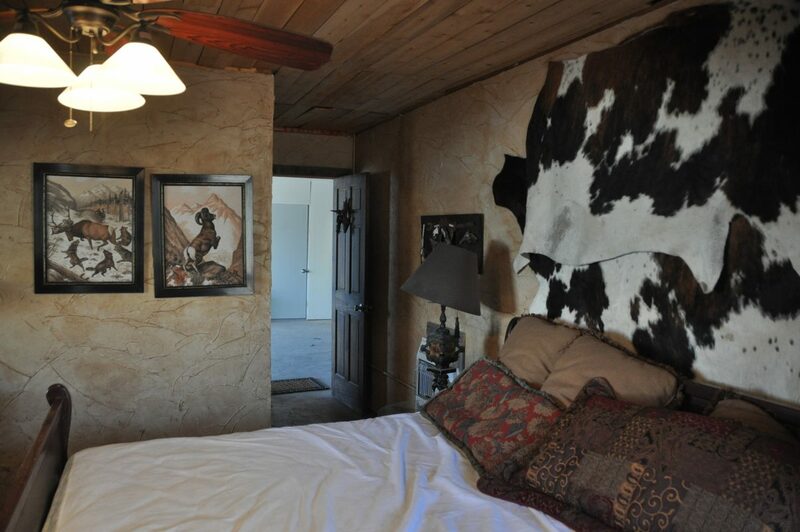 Eagle Piñon Ranch is tucked into a very isolated part of the Eagle Mountains, yet you have excellent access and, at the same time, extreme privacy. 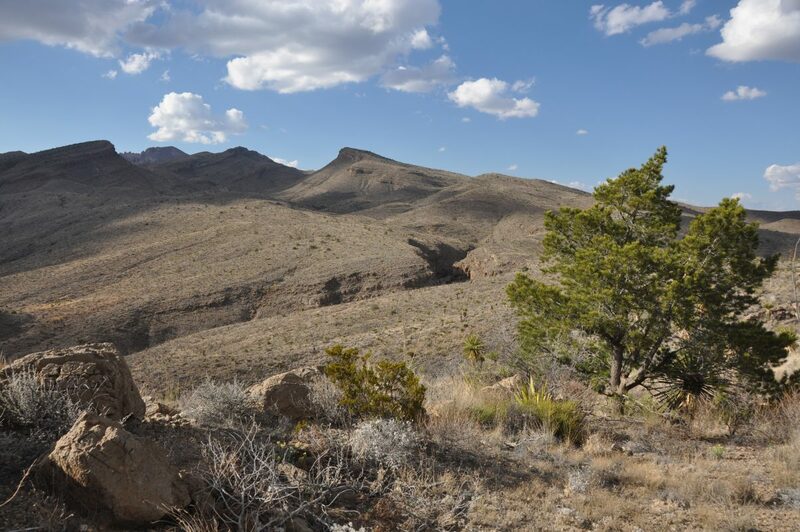 This high Chihuahuan Desert ranch has elevations ranging from 4,600 feet to 5,800 feet and is a series of canyons, peaks, and valleys, creating a rugged yet accessible terrain. The higher elevations of the Eagles are to the north at 7,400 feet. 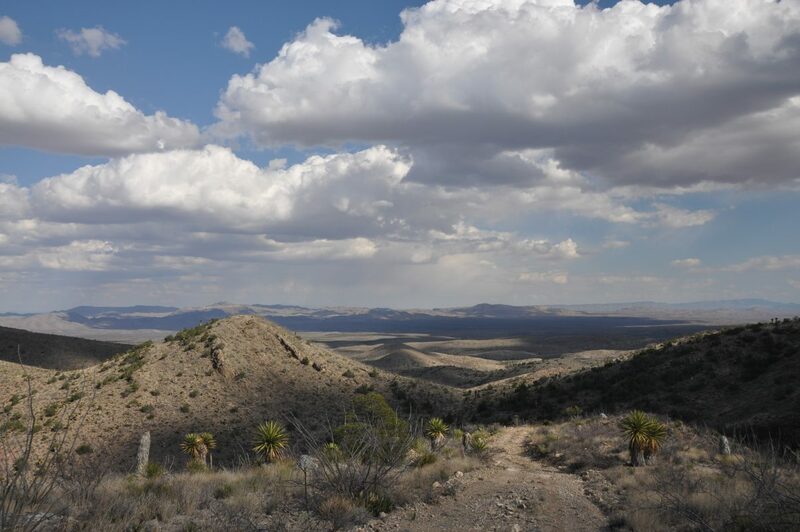 The Rio Grande valley to the south, with the Mexico mountains beyond, creates extraordinary geology and rock outcrops, one of which, Sawtooth, towers over the ranch. Sunrises and sunsets on this ranch are nothing short of stunning and you can see into the distance for 100 miles. 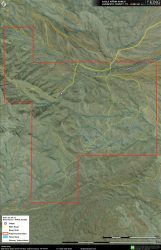 At this elevation there is a lush grassland matrix with brush, cacti, and Piñon trees creating a Davis Mountains appearance. There is a series of 4×4 roads shown on the map which get you around to the various features on the ranch. 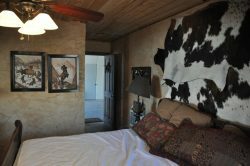 An excellent well and a new hunting lodge with six private rooms, each with a private bath, make this a comfortable and functional hide-a-way. This mountain range functions as a habitat island, with intermountain ridge lines and valleys serving as corridors for wildlife migration, especially between Texas and Mexico along the Rio Grande. 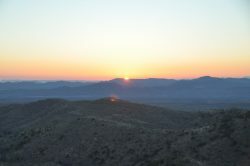 Numerous bird species that are normally associated with the Rocky Mountains and/or Mexican Highlands are known to occur within this island of montane habitat. 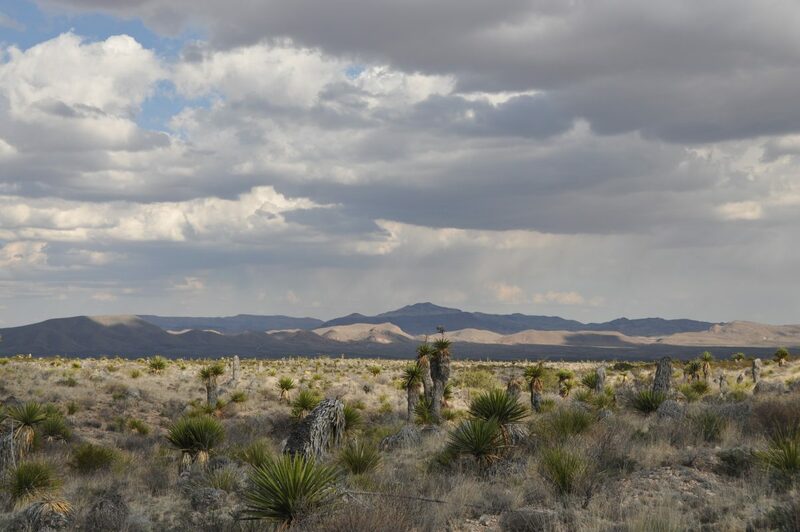 The climate and soils support a mix of desert and mountain vegetation from scrublands to grasslands, to pine and oaks woodlands. Grasses include side oats, blue, black, hairy, and chino grama as well as cane bluestem, green sprangle-top, tobosa, and many others. 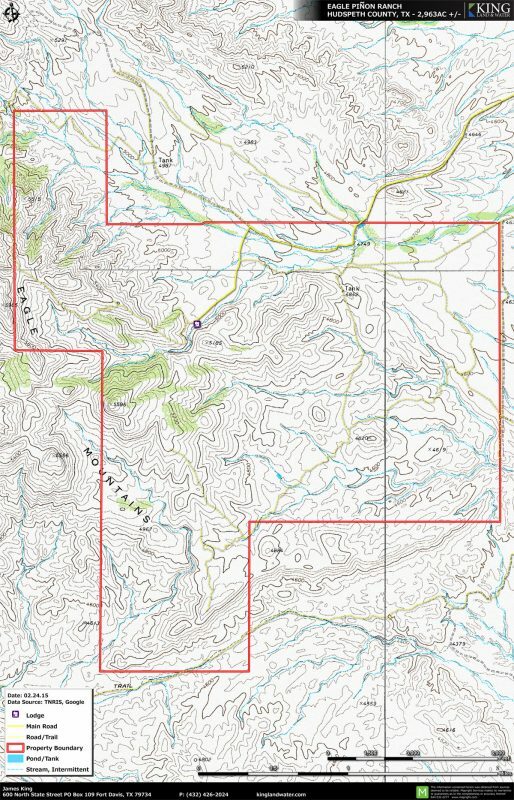 Along the canyon floors and especially on the north facing slopes there are juniper, piñon, and gray oaks. A variety of flowing plants and cacti provide habitat for migrating and resident birds, bats and butterflies. 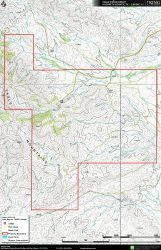 This is big mule deer country and the ranch has been carefully managed over the past 10 years to improve the herd and maximize the potential for growing large mature bucks. Blue quail and dove populations are tremendous and create great hunting opportunities. 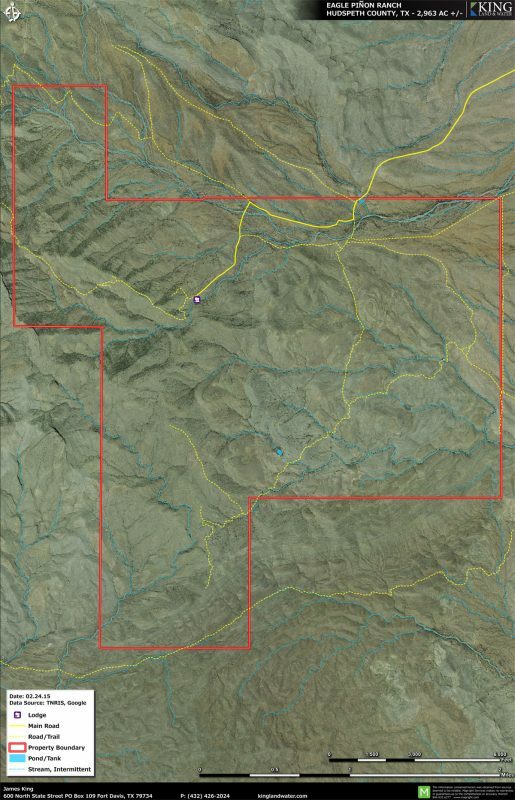 There is also a population of elk located in the Eagle Mountains and they are seen occasionally on this ranch. Native trees, brush, and grasses provide excellent habitat for these game species and many native birds and other non-game animals. Desert big horn sheep have been seen nearby in this mountain range and over time are expected to expand in the Eagles. 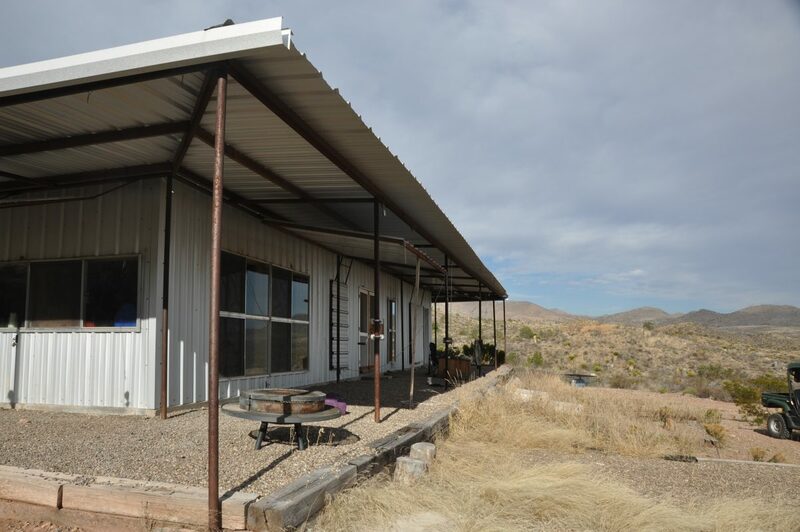 Other wildlife include fox, javelina, coyote, eagle, mountain lion, bobcat, songbirds, hummingbirds, Gambel’s quail, and an amazing diversity of reptiles, invertebrates and mammals, making this a very special place to see and experience the various Chihuahuan Desert wildlife species. 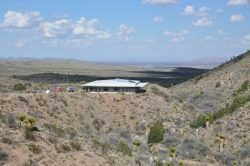 Eagle Piñon Ranch lodge is a metal 60 x 60 building built on a concrete slab divided into common space and separate sleeping quarters. A 10 foot deep covered porch surrounds the entire structure, providing shade in summer. Large metal shutters can be easily lowered and locked when the lodge is unoccupied. The unique design is perfect for a hunting camp that can accommodate large groups or an entire family. 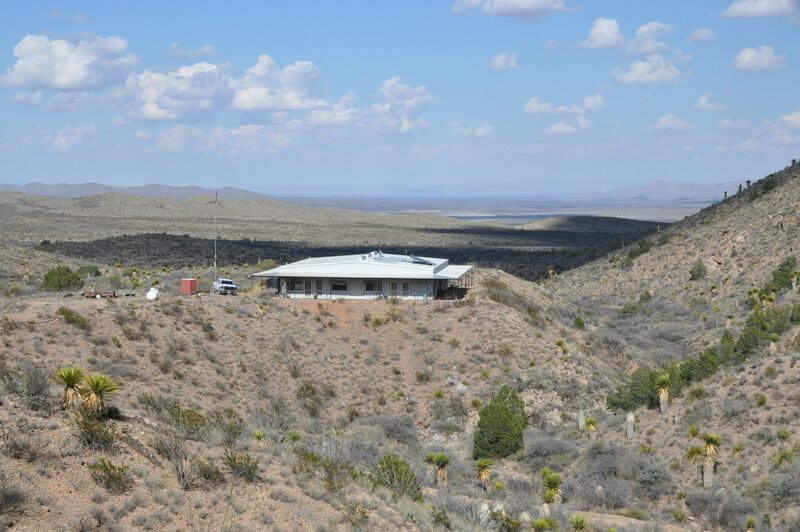 A state-of-the-art 48 volt electricity system is powered by solar panels and a wind turbine. 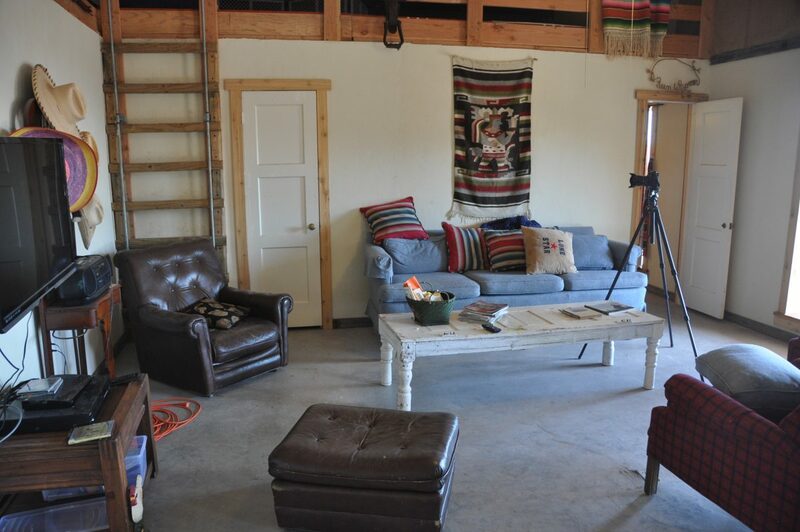 With no power lines to/from the property, this “off grid” system ensures low cost of operation while providing the comforts of a typical large home, including full electricity throughout, power for the water well, washer/dryer, televisions, microwave, etc. 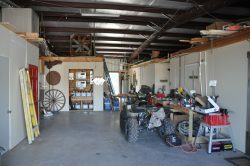 Propane is used for heating, hot water, and to power an 11kW backup generator on the property. A water well near the HQ is pumped to an elevated storage tank and provides water to the lodge as well as outside troughs for wildlife. 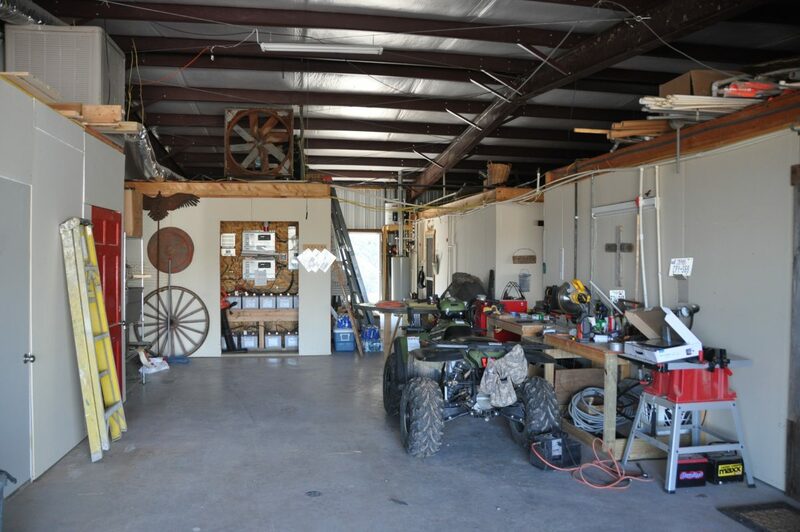 There are also a few guzzlers designed after the Desert Big Horn Society water catchment systems scattered on the ranch to provide year-round water for game.